Sunday June 1st, 2014 is FriendWatch Night at the Philadelphia Soul! Please come out and support anti-bullying! 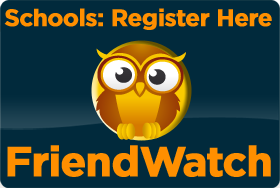 For Tickets go to the link below for our special FriendWatch rate for the June 1st game against the San Antonio Talons. Click http://www.philadelphiasoul.com/friendwatch for details.